SIDEKICKS is a collection of fictional objects that aim to help us reduce the amount of phone usage. 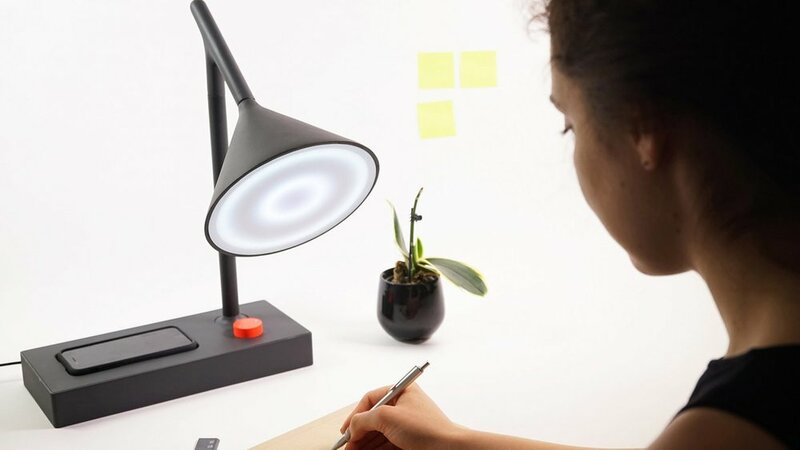 The objects are interventions in moments when smartphones are particularly distracting for us: a desk lamp for working, a speaker for leisure time, an alarm clock for the end of the day and a projector for watching a movie with someone. Rather than creating a new device or establishing a new behaviour to keep us away from the phone, the objects were re-designed with a particular feature: none of them has a switch on/off button; instead, they can only function whenever we physically leave our phones to them. More and more people everyday are willing to reduce the impact phones have on them, but it often turns out to be harder than expected. In this scenario, my goal is to reflect on the role interactive objects can play for and with us. The devices are, in fact, not only designed as tools to make us more productive or ease a process, but also as friendly companions to help us let the moment happen.